Euthanasia Prevention Coalition Euthanasia Prevention Coalition: Assisted suicide can be a slow and painful death. Isn't it rather ironic to point up how deaths from assisted suicide can be slow and lingering when you want more people to die slow, lingering deaths from terminal illnesses in the absence of anything that might speed up the process? It is a tragic mentality that many feel they must take charge of their death and therefore it is taking charge of their destiny. How deceived our culture has become to not speak up against this! Where will each soul spend his or her eternity? Death is not the end. Jesus promised a rescue from everlasting death through faith in Him. See John 3:16 in the Holy Bible. Let us look to the the Creator who formed us in the womb and His will to take us into the next world. Any kind of suicide is wrong. Any doctor having part of it is taking the place of the Creator in determining death. Let us take hope that He will one day make our lowly body "like his glorious body" when we will realize finally the reality of, "Oh grave where is thy victory?" Let us look to the ancient words to direct us. Let us not be apathetic about looking after our health and researching foods that are life-sustaining and avoid disease causing food and substances added to foods. Let us prioritize around an active life-style. In the end may our trust in God sustain us in any last difficult hours. May God give wisdom and courage to our health-care providers. Let us minister to those who are dying and pray for them that they will sense the care of their loved ones and the Almighty in the time of their greatest need. 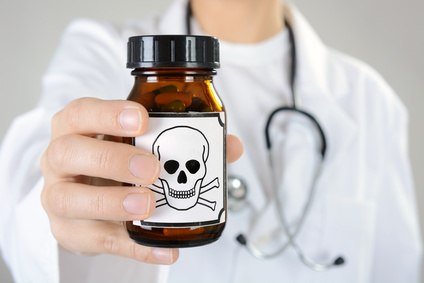 I am afraid that instead of deterring people from pursuing Physician assisted death, or suicide, what will transpire is that more lethal concoctions will be demanded , experimented with and used. The pharmacists and doctors will become expert at what killing concoctions are swiftest. Assisted suicide is a moral , ethical and legal travesty. The logistics of killing are indeed not as easy as some surmise, but i wonder if the risk is enough to deter anyone with this mindset from such a drastic choice. First of all Nullifidian, we have no wish for anyone to die a painful death. This is an assertion by the death lobby to attack people who believe in caring for people and who oppose killing people. This article proves the lie of the euthanasia lobby that sells lethal injection as a quick, easy and painless death, when in fact this is not always true. First of all Nullifidian, we have no wish for anyone to die a painful death. I missed this the first time around because I didn't have time to wait four days for a reply. However, now that I've seen it again I must say that I'm in awe of your intellectual dishonesty. Somehow you managed to turn the words "slow" and "lingering" into "painful" in order to dispute something I never said, while concealing the fact that if you could work your will terminal illnesses would have to run their full course before the patients were released by death. That is slow and lingering by definition: in the absence of anything to speed it up, the process of dying will be slower. You had to distract from that point because you knew you couldn't address it. "This article proves the lie of the euthanasia lobby that sells lethal injection as a quick, easy and painless death, when in fact this is not always true." Who's selling "lethal injection" as anything? Do you even know what it is you're disputing? The vast majority of assisted dying scenarios involve pills at lethal concentrations and dosages, not injections, and the dose must be self-administered. Only Jack Kevorkian had a machine for delivering lethal injections. Honestly, if this is reflective of the care and attention to detail you bring to disputing this subject, no wonder those on the side of assisted dying are winning. Furthermore, who says that this is what the so-called "euthanasia lobby" does? In any state where assisted dying is legal, there is a medical obligation to explain to the patient who wants to take his or her own life how long it could take for the pills to be effective. If the patient still wants to go through with it, then they've made their decision that however long it takes it's still better than hanging on to the very end. Objecting to that on the principle that it will take perhaps longer than expected is specious when you're advocating for a position that requires one to prolong life as long as possible.